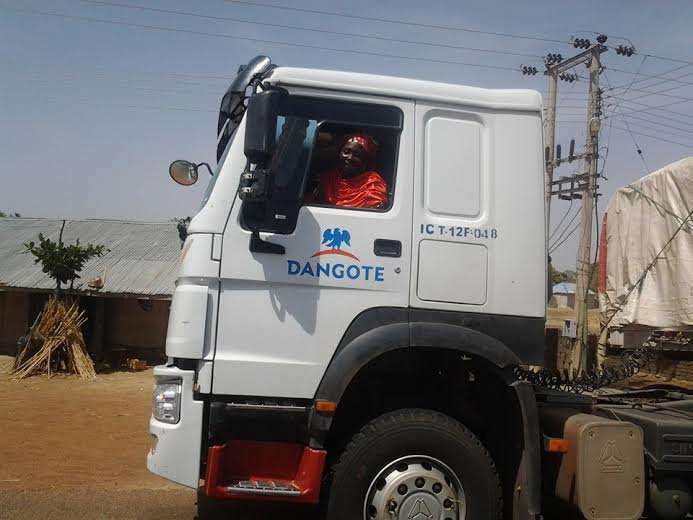 A Dangote truck was caught with carried rice by men of the Nigeria Customs Service in Adamawa State. Kamardeen Olumoh, Comptroller of Customs, Adamawa/Taraba direction, marched the truck to newsmen in Yola on Friday. "One Dangote truck conveying one hundred and fifty sacks of outside rice was caught along Mayo-Belwa street on the most recent day of the year," he expressed. "The driver got away yet we are certain that Dangote, being a dependable corporate substance, will distinguish and catch the driver and hand him over to us for indictment." Officer Olumoh further revealed different seizures made by the direction, including rice, utilized dress and oil based commodities with a Duty Paid Value (DPV) of over N59 million. Giving a breakdown of seizures amid the first year, he stated: "The direction could make sixty-one seizures, which were predominantly outside rice, totalling 1,740 packs. Likewise seized were utilized vehicles, second hand dress and 21,270 liters of oil based goods with a DPV of N59,781,006.81. "Three suspects are being attempted in connection to the carrying offenses," he said. Olumoh anyway regretted that the direction's income age for the year was beneath desire, an improvement he faulted for uncertainty and flooding inside the order. "The direction produced N168,294,227.83 from January to December 2018 as against N186,113,181.28 created in 2017. "Nonetheless, the sum missed the mark concerning the income focus of N197,301,635.98 for the year in audit. "This can be ascribed to difficulties looked by officers and men of the direction which incorporate, the present condition of revolt in the locale, partisan circumstance in the Republic of Cameroon and repeating collective conflicts in both Adamawa and Taraba states."